Bentong is in Pahang, this piece is in between Bentong Town & Bukit TInggi Town ie 15km away from both towns, about 3km away from Hot Spring. From KL it’s 60km away, from the main road about 1km deep. 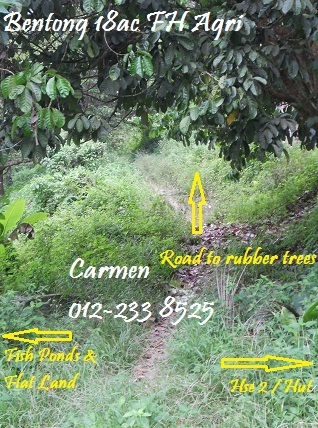 1/3 is on hill planted with rubber trees, 2/3 with fruit trees (durians, avacado, cempedak, papaya, coconut), 3 fish ponds, 2 wooden houses, generator set and a stream passing through. 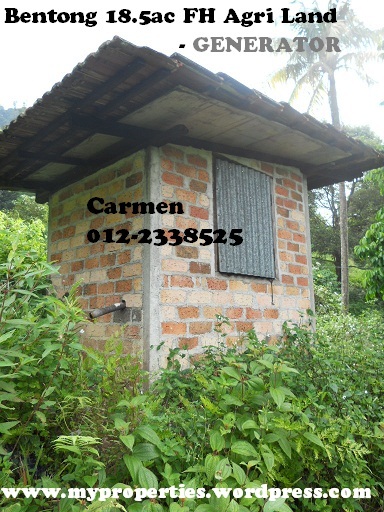 Suitable for agriculture, hobby farm, swiftlet farming (with ready birds), homestay. For more photos, click HERE. 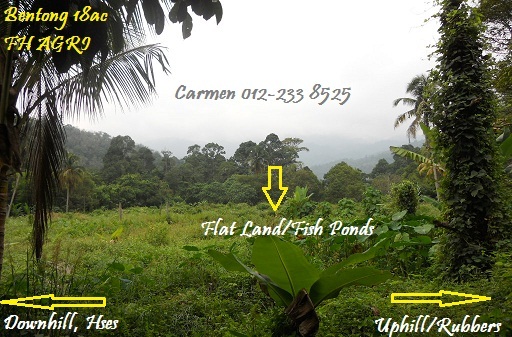 Call Carmen at 012-2338525 to register your interest.